Cornerstone of Hope assists working-class families, veterans, and senior citizens improve their lives and the lives of their children. 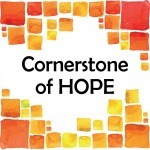 Public donations make up a large portion of Cornerstone of Hope's annual operating budget. Please consider giving a financial gift today. Volunteers are the heart and soul of Cornerstone of Hope. Find out more about available opportunities and how to apply. The Fort Store will be Closed on February 23. The Janesville office is closed due to the weather. The Cornerstone of Hope office will be CLOSED on February 7th due to icy conditions.